Contacted By Zwicker & Associates Debt Collectors? Contact our Zwicker & Associates debt settlement lawyers today. Our Zwicker & Associates debt settlement lawyers are experienced fighting claims by Z&A regarding their creditor clients American Express, FSB, American Express Centurion Bank, Bank of America / F.I.A. FIA Card Services, N.A. Chase Bank (USA), N.A., Discover Bank, Synchrony Bank – assignee of GE Capital Retail Bank – issuer of JC Penny Credit Cards and Lord & Taylor Credit Cards. 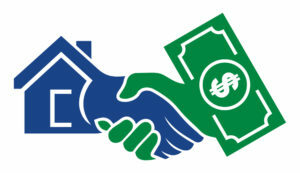 Z&A attorneys often refuse to settle debts on reasonable terms. If these debt collectors are collecting from you, call our Zwicker & Associates debt settlement lawyers for a free consultation. Contact our Zwicker & Associates debt settlement lawyers for a free case review.